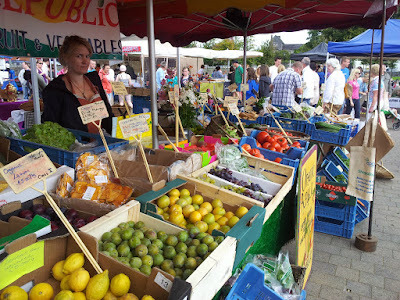 Below are photos of Midleton (Saturday) and Mahon Point (Thursday) markets...and our garden on a bright day! 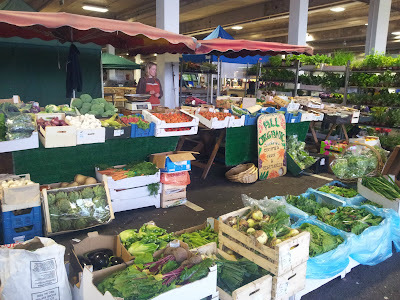 We sell a wide variety of seasonal fruit and vegetables, fresh and certified organic, at the stall. We also sell dried fruit, fresh herbs and delicious local salad leaves.